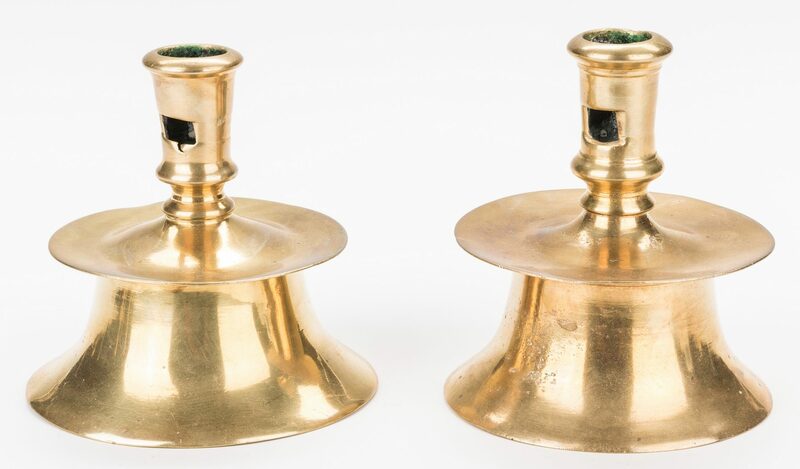 Five (5) early brass candlesticks. 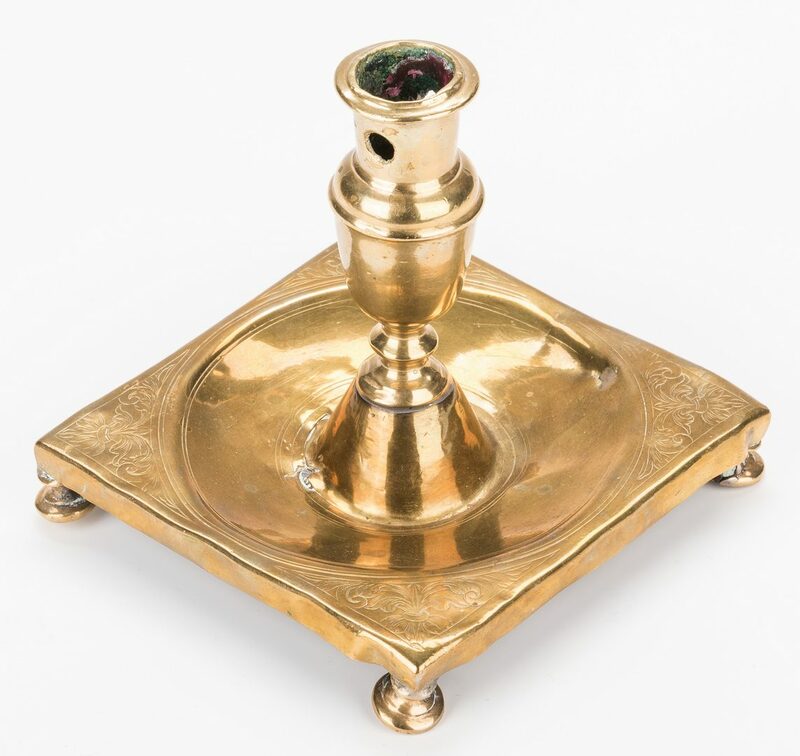 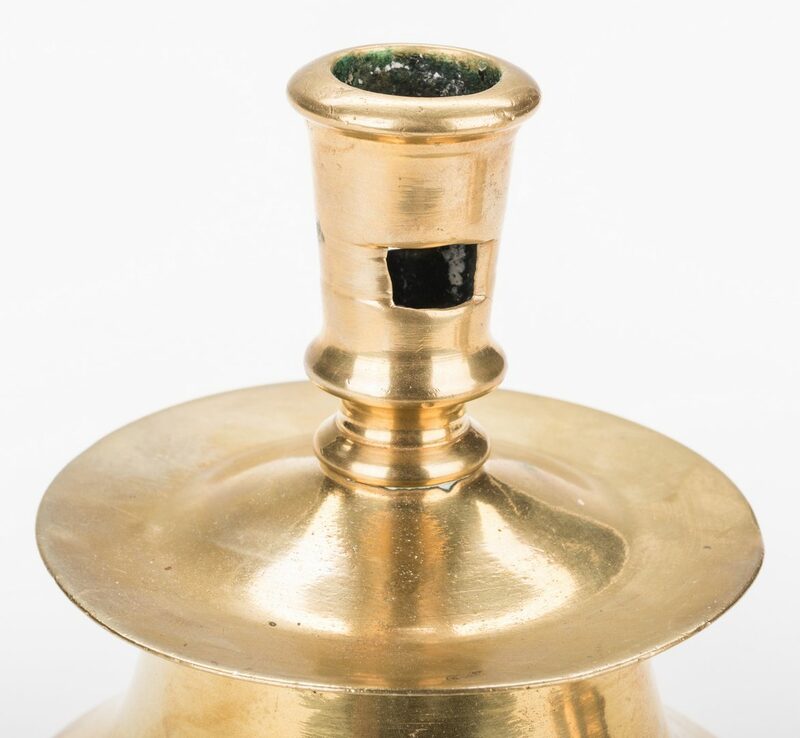 1st item: Footed candlestick, likely Spanish, with square pan having engraved foliate decoration, raised on bun feet; large candle cup with round extraction holes. 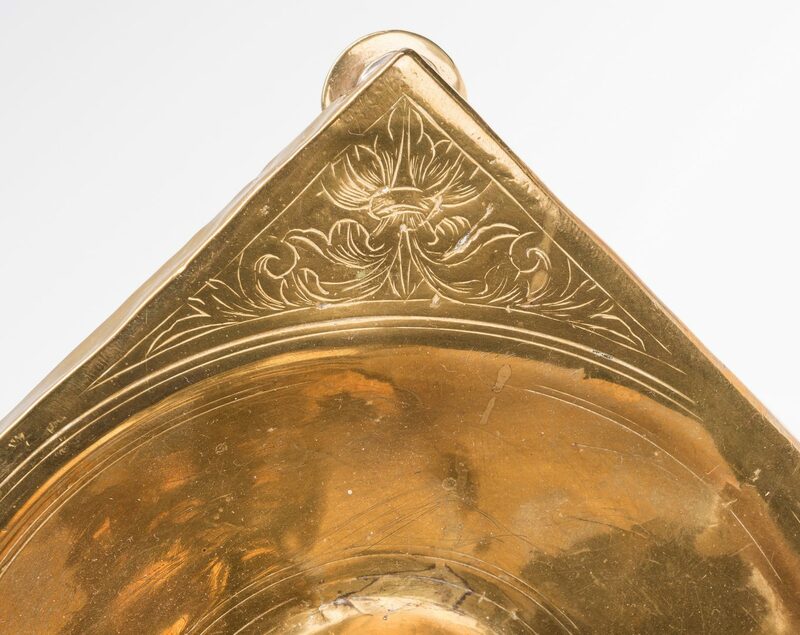 (Solder repair to underside of pan, visible from top, thumbnail sized dent or area of pitting to candle cup, repair to at least one foot, dents at feet area). 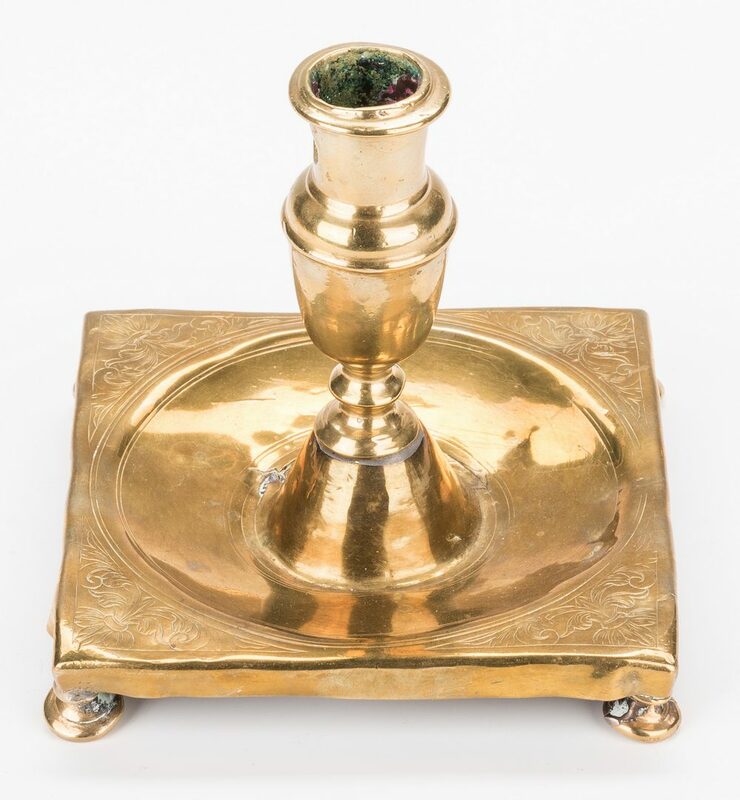 5 1/4" H x 5 1/2" square. 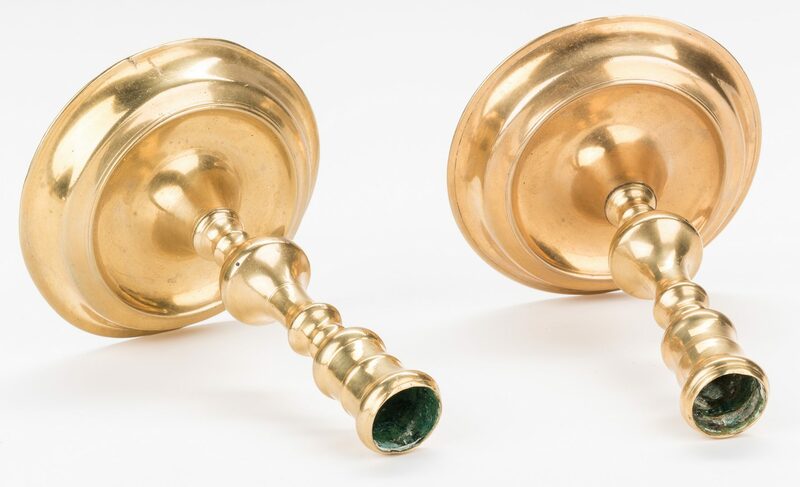 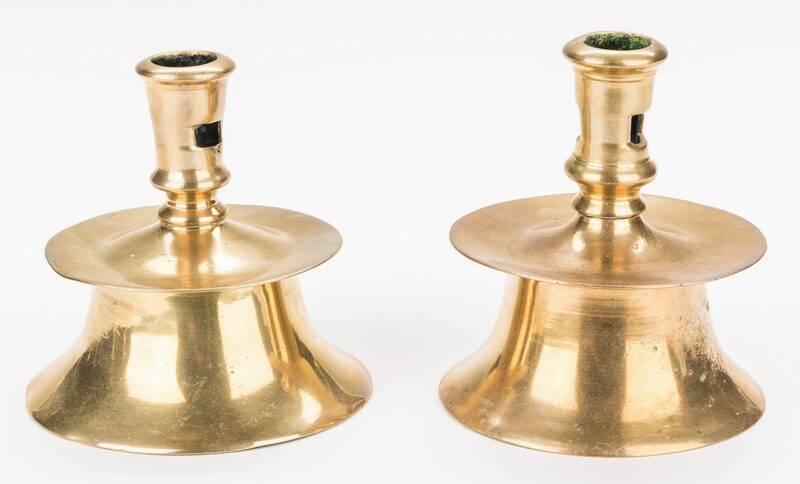 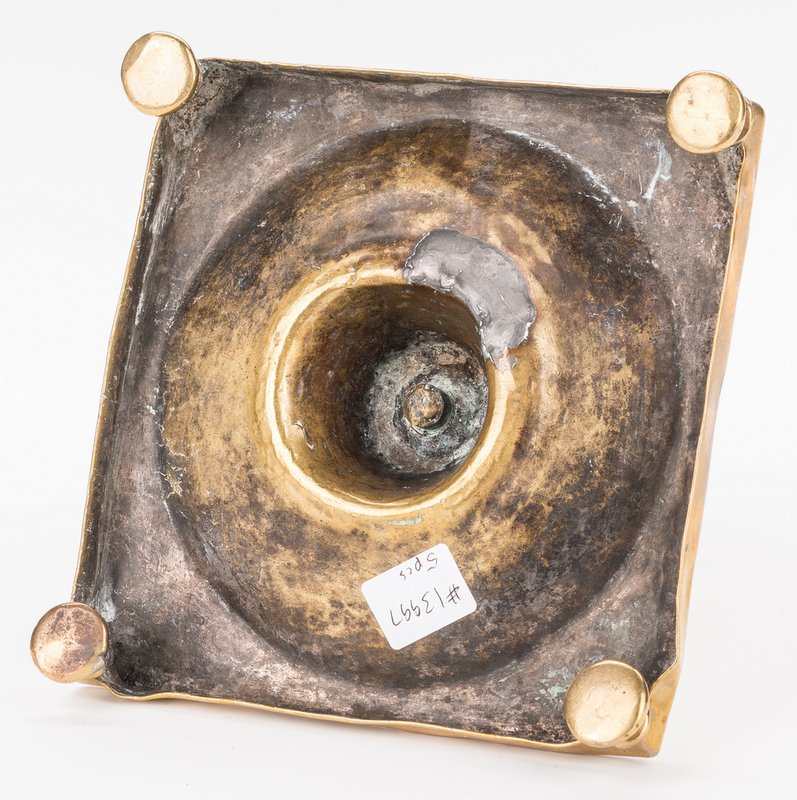 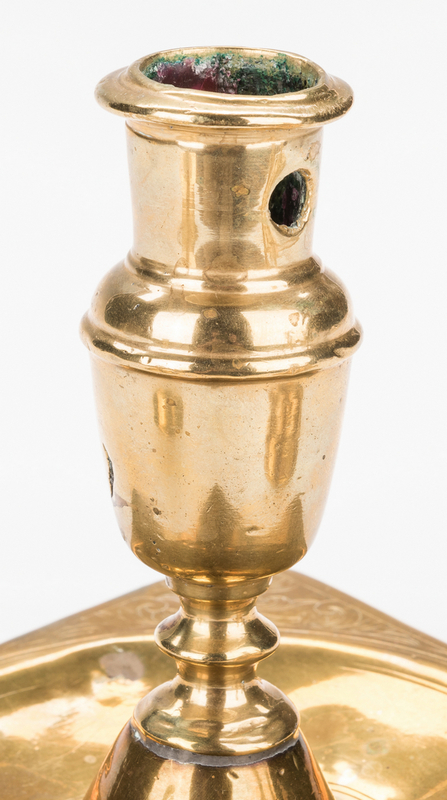 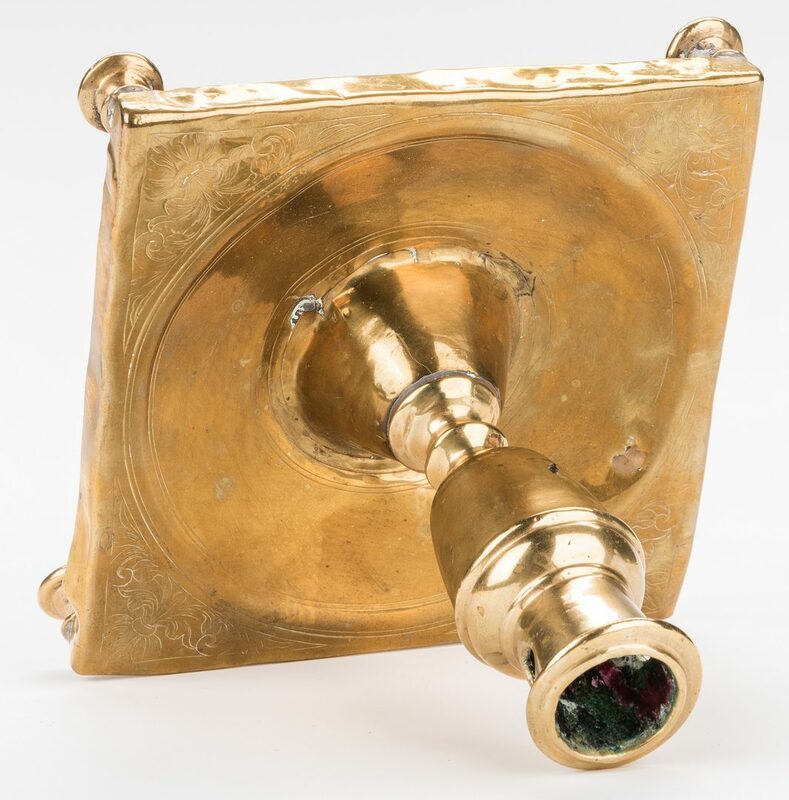 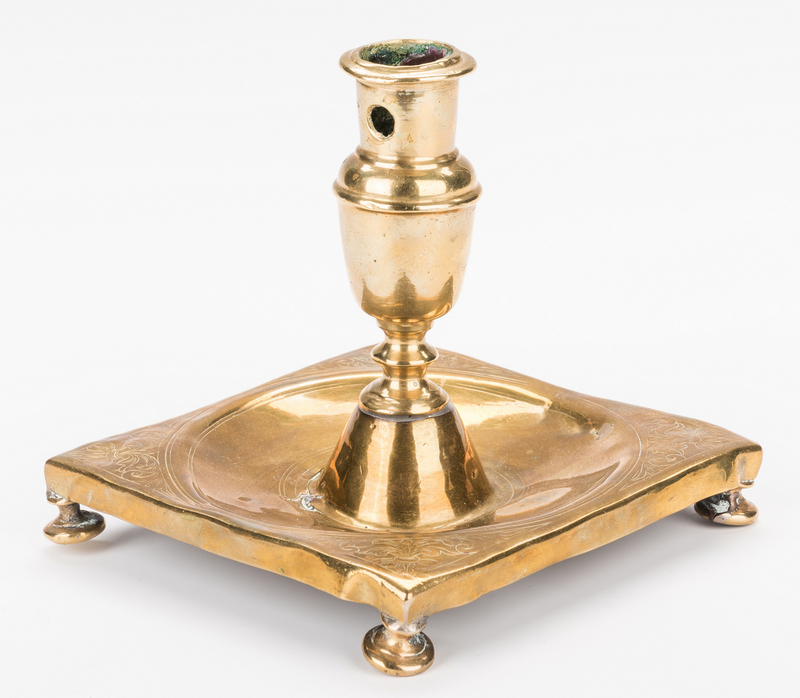 2nd-3rd items: A near pair of brass capstan candlesticks, each with round flared bases and double extraction holes (one hole with small tear, another with some minor pitting to lip). 4 3/4" and 4 15/16"H, 4 1/2" and 4 3/4" dia. 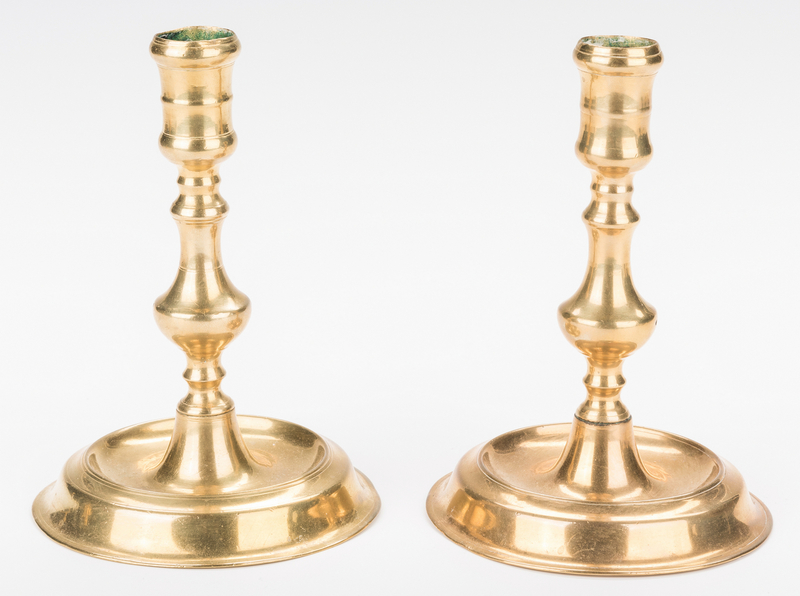 4th-5th items: A near pair of brass candlesticks with raised round saucer bases and baluster shaped stems (both have some light pitting to stems). 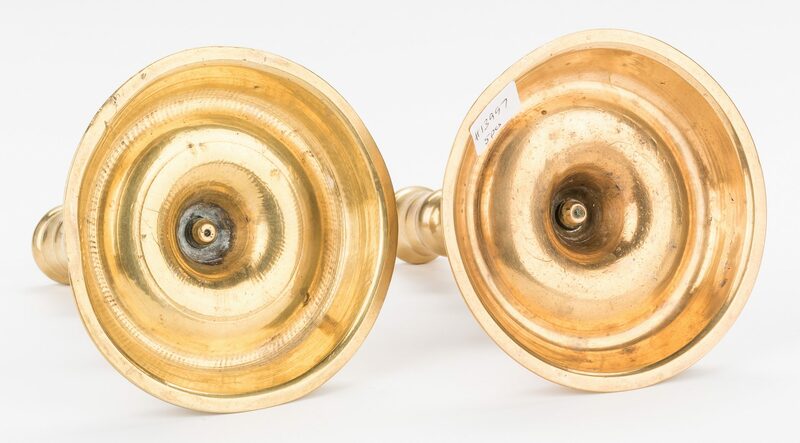 Both 6" H x 4 1/2" dia. 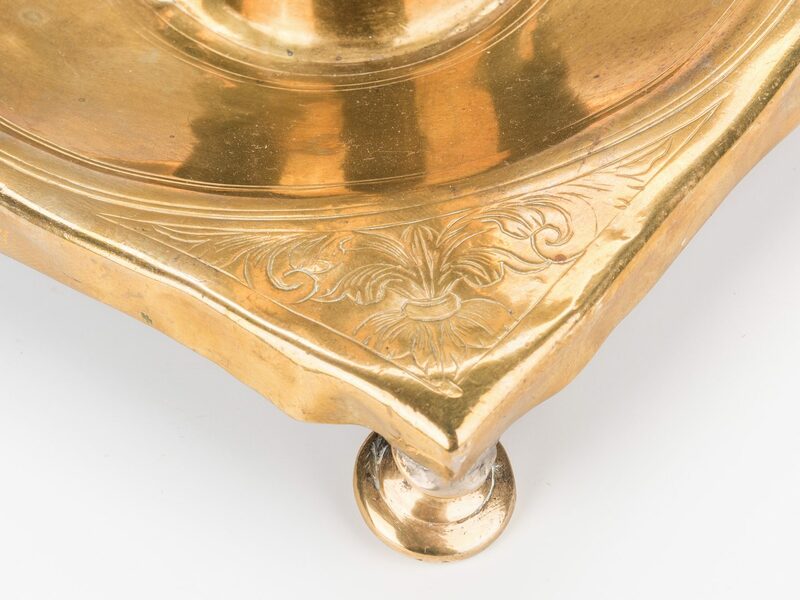 All likely Continental, late 16th to early 17th centuries. Provenance: The estate of Dr. Benjamin H. Caldwell, Nashville, Tennessee. 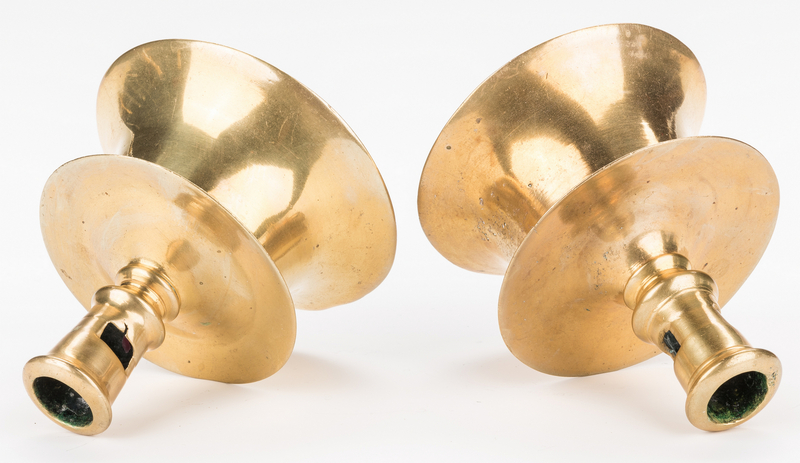 CONDITION: All with general wear and small minor dents, see individual item descriptions.